For holidays, it can be difficult to find a place that suits diverse interests and ideas of what relaxation entails. Some prefer activity and ambitious exploration, while others prefer to stay horizontal on a chaise longues with a good book. What we can all agree on is that the food must be delicious, the view incredible, and the energy of the place uplifting. Villa Chanden ticks all the boxes. Villa Chanden is situated just outside Portal Nous on a hillside looking out on the lush green oasis of Real Golf Bendinat, the pale turquoise waters of the Mediterranean sparkling in the distance. 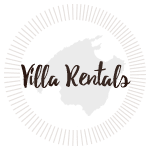 Just a few minutes from the world-class city of Palma and the pristine beaches of Illetes, this villa offers easy access to the sea or the city. ‘Chanden’ means moon in Hindi, and the sunset and moonrise from the terrace are worth coming for alone. This is one of the best vantages on the island. 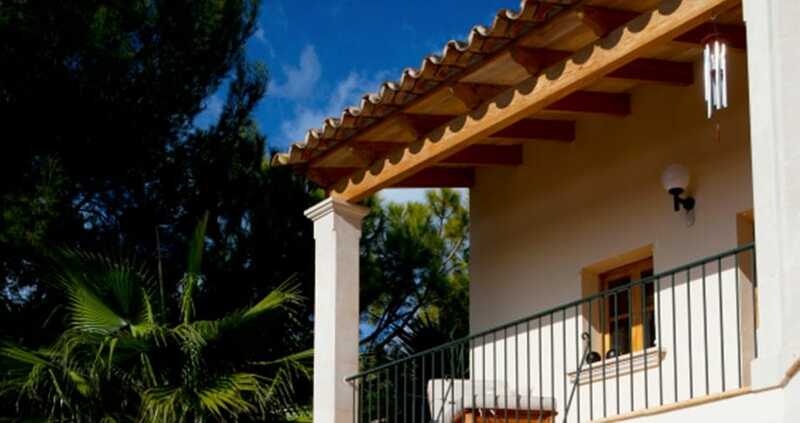 This villa is ideal for a family or a group with diverse interests and offers all the amenities and comforts of home. With Eastern-influenced decor, whitewashed walls, and space throughout the property for quiet contemplation or spending time together. The open plan lounge and dining area are cosy and well-appointed with leather sofas in front of a fireplace for reading, playing games, and eating together. Four bedrooms offer privacy and a multitude of sleeping options. An exquisite freeform pool with chaises longues, a Balinese cabana, and a BBQ are a few of the villa´s accoutrements. As the gates close behind you, you will immediately sense an energetic shift, Spanish-style. 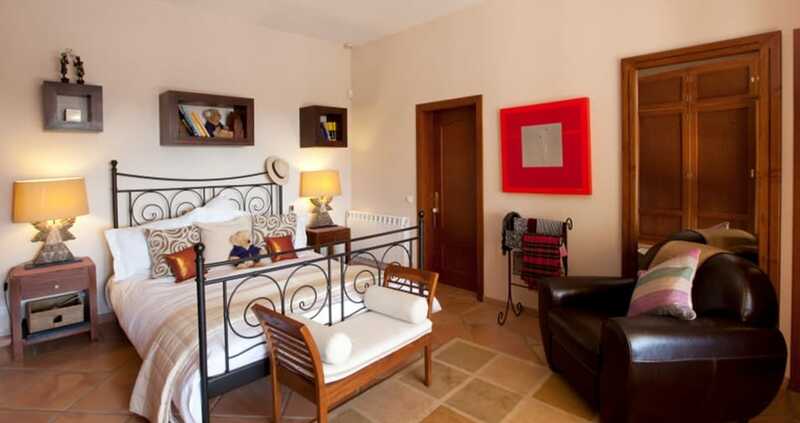 Four bedrooms situated on the two levels of the villa offer sleeping accommodations for eight guests. There are two lovely bedrooms on each level with private bathrooms. The master bedroom features a flatscreen TV, views of the luscious green pines and a bathroom with a jacuzzi tub and elegant vanities for two. On the ground floor of the villa is an eat-in modern, airy kitchen with a flatscreen TV, granite countertops, and modern appliances. Off the kitchen is the utility room with a washer and dryer. The open plan dining room and cosy lounge feature a flatscreen TV, a working fireplace, and french doors that open onto the large terrace. Two beautiful bedrooms are located on this floor with double sleeping and single sleeping capacity, respectively. Each room features original artwork from local makers and the Far East. The beds are dressed with crisp linens, perfect for afternoon siestas. Two modern bathrooms, one with a shower, are located on this floor. From the lounge, you make your way down to the lower floor where you will find two elegant bedrooms with double sleeping capacity each with a modern private bathroom. There is a terrace for quiet reading by day or star-gazing by night. A beautiful patio for dining al fresco while watching the sunset over the sea hosts a BBQ perfect for grilling local seafood and produce. An authentic Balinese cabana is a wonderful place to escape the midday sun and take a siesta, or get cosy and read with family. By the freeform pool, you will find umbrellas and chaises longues for catching up on summer reading or taking in the Balearic sun. There are four private terraces facing at the rear of the property, each with chaises longues. In the summer in Mallorca, we live a plein air. Just when the heat of the day seems unrelenting, the sun sets, and the sky fills with shining constellations. Sea breezes sweep in and the moon rises over the sea, refreshing and gentle. On the terrace of Villa Chanden there are chaises longues for repose under umbrellas in the heat of the day by the glittering freeform pool. The dining area seats eight on the patio. There are four small private terraces at the rear of the property. Quintessential to the Mediterranean summer? A crisp copa of Rosé from a local vineyard as the sun sets. The villa sleeps 8 and is 1.5 km from the beach. The airport is 21 km away. There is a BBQ, laundry facilities and maid service included. 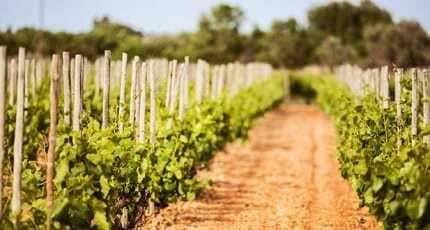 Vineyards are plentiful and a wine-tasting at one of the local vintners is in order when visiting Mallorca. For Golf lovers you cannot beat Villa Chanden’s perch above the beautiful green of Real Golf Bendinat. The beach of Illetes has pristine sand and you can have lunch seaside or book a spa service. 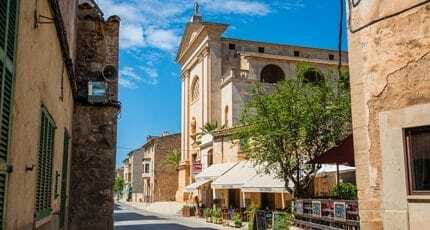 Calvià has lovely restaurants and shops for perusing, but don’t forget a hat! For an evening out, we recommend the jet set destination Puerto Portals. There are fabulous restaurants and bars crowded with the glitterati and it is the place to see and be seen. Just 20 minutes away by car, Palma nightlife starts in la Lonja and commences with dancing in the Paseo Maritimo. 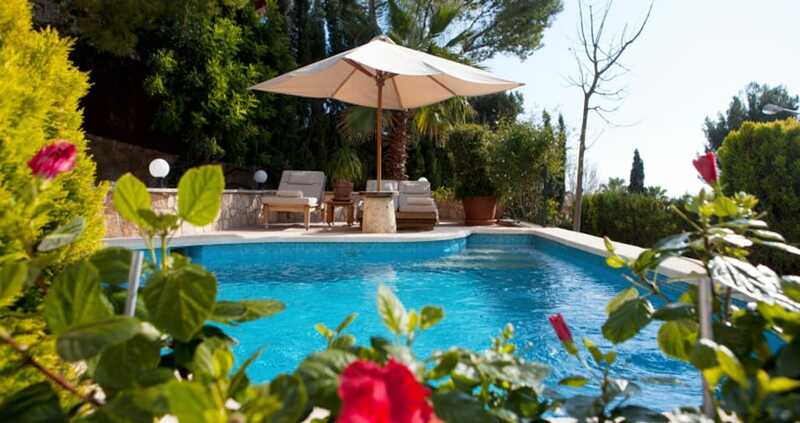 To book your vacation at Villa Chanden in Portals Nous call +34 971 708 888.